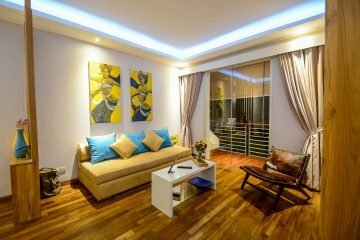 This classy 57m2 studio apartment is in a small block of 6 units in a quiet and safe area of Kerobokan. The quality of build is reflected with the use of hard wood floors and quality fittings throughout. Strategic location and good access means in less than 5 minutes you can be in amongst the popular shops and restaurants of Seminyak and Petitenget. Inside there is a king sized bed with ensuite bathroom split from the living area. A separate living area with kitchenette opens out onto a balcony overlooking the pool. In the evenings, you can enjoy the view from the separate sunset balcony. The studio features a quality flat screen TV, DVD, Cable TV and fast internet for entertainment. The property includes full use of the complex, including the downstairs kitchen, common area and swimming pool. Units in this apartment rent well and as a rental property will show a savvy investor good returns on their investment. 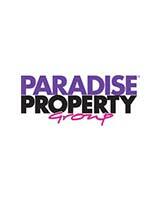 Currently available on a leasehold title for 23.5 years (exp 2041) with the possibility to extend.